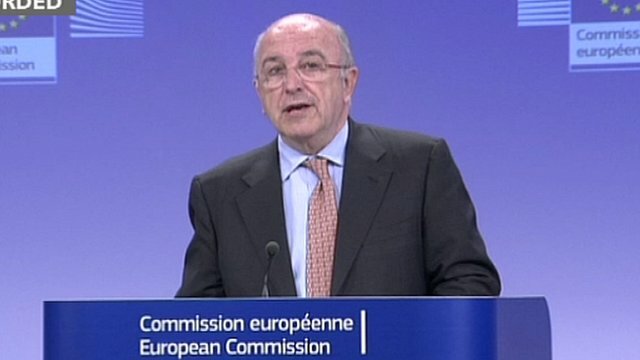 Nine pharmaceutical companies are to be fined a total of €146m for breaching EU anti-trust rules, the Competition Commissioner, Joaquin Almunia, has announced. In a statement on 19 June 2013, Mr Almunia said they had acted anti-competitively by delaying the market entry of "generic" versions of an antidepressant drug. Danish pharmaceutical company Lundbeck is to be fined €93.8m for agreeing with several producers of generic medicines to delay the production of cheaper versions of Lundbeck's own brand of citalopram. "It is unacceptable that a company pays off its competitors to stay out of its market and delay the entry of cheaper medicines," said the Commissioner. He continued: "Agreements of this type directly harm patients and national health systems, which are already under tight budgetary constraints. The Commission will not tolerate such anticompetitive practices." The Commission found that instead of competing with Lundbeck, the producers of the generic drugs agreed in 2002 not to enter the market, in return for substantial payments. Under EU competition rules, the Commission has full powers to investigate and fine companies that are in breach of so-called anti-trust laws, which are designed to ensure the fair and free running of the EU's single market. A full list of the companies involved and the individual fines can be found here.